The award-winning 7500 Deluxe Radial Monitor Arm is a remarkable work tool. 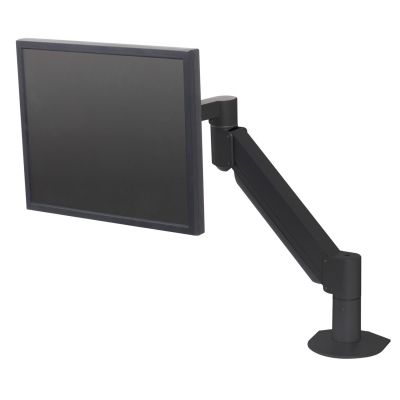 Users are able to effortlessly position their monitor exactly where it’s needed, adding flexibility to any work style. Suspend a flat panel monitor above the desk surface and reclaim valuable space. 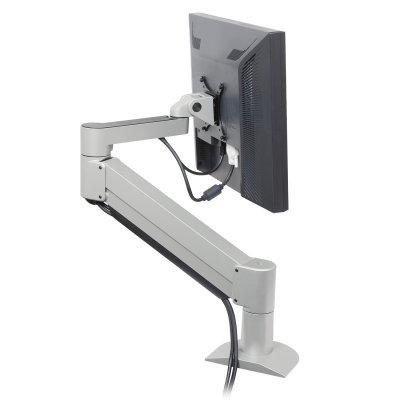 The 7500 desk monitor mount features HD tilter, a spring-assisted pivot for the monitor which makes adjustments remarkably easy, even with larger screens. Other features of the monitor mount include cable management to route cables inside the arm.